The FCIL Schaffer Grant for Foreign Law Librarians provides financial assistance to ensure the presence and participation of a foreign librarian at the American Association of Law Libraries Annual Meeting. Foreign attendees enrich AALL events and programming by providing a global perspective that benefits all participants and the AALL membership more broadly. This year’s AALL conference will return to Philadelphia, Pennsylvania. 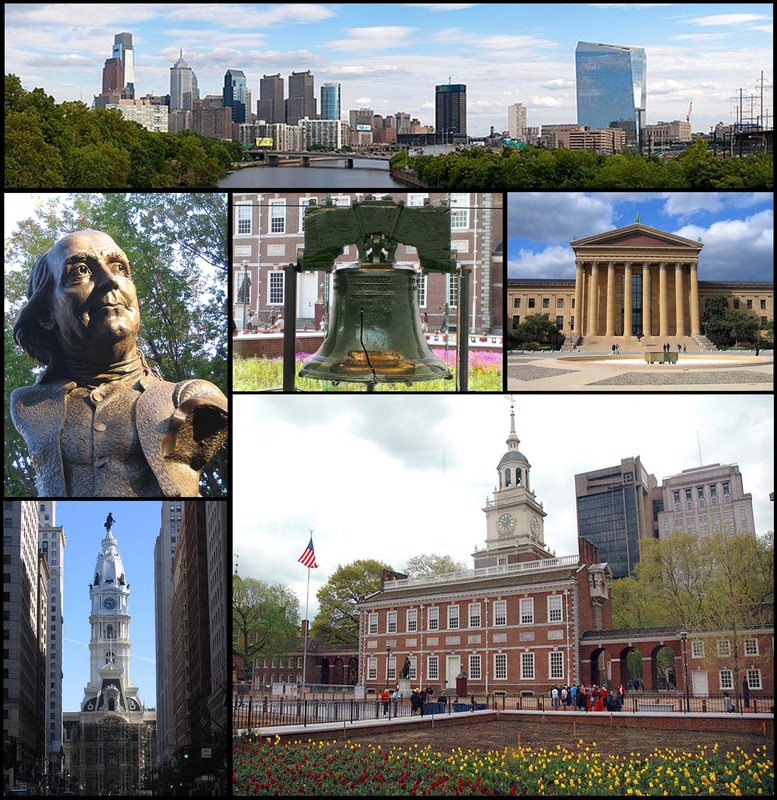 Philadelphia is famous for its vibrant art scene, diversity, and rich history (see Gabriela Femenia’s 2011 article in AALL Spectrum for more details here). The AALL annual meeting is easily the biggest law library conference in the world, and offers unparalleled opportunities for learning from colleagues, networking, and the opportunity to attend programs considering a wide range of topics relevant to law libraries and law librarianship. Anyone who may be interested in applying for the Grant is encouraged to review the relevant application information available online here. Please note that the deadline for applications of November 30, 2014 is quickly approaching. Selection for the Grant is based on the foreign law librarian’s ability to add to the knowledge of law, legal information, and law librarianship from a foreign perspective for AALL attendees. Preference may be given to an applicant from an under-represented country or region, to someone who demonstrates financial need, or to an applicant who has never attended an AALL Annual Meeting. In order to ensure diversity, the Grant Committee avoids selecting recipients from the same country as recipients of the previous three years. Many other law library associations provide similar opportunities (see e.g., IALL, BIALL, CALL). The purpose of these grants, particularly those that encourage foreign law librarians to attend, is not only to provide a valuable professional development experience for the recipient, but also to enrich the conference events for local attendees. Opportunities to share perspectives and ideas across cultures, languages, and legal systems are especially valuable in an increasingly globalized world. Though our backgrounds and resources are often varied, the challenges we face are frequently the same and necessarily benefit from exchange and dialogue. In order to ensure the greatest number of potential applicants are aware of this opportunity, please circulate this information to any of your colleagues abroad who may be eligible for the grant. Ms. Irene Kraft is the recipient of the 2014 FCIL Schaffer Grant for Foreign Law Librarians. The Selection Committee invites all FCIL-SIS and AALL member more broadly to join us as we welcome Ms. Kraft to this year’s AALL Meeting and Conference in San Antonio, Texas, July 12-15, 2014. Ms. Kraft will give a talk on July 14 at 11:45 a.m. in the Marriott Riverwalk – Alamo Ballroom Salon E. Her talk will discuss the future of small and specialized legal libraries – particularly within international organizations in her presentation “Envisioning the World’s International Criminal Law Library at the International Criminal Court.” For more information about Ms. Kraft and her presentation, please visit the FCIL-SIS website. Due to the increasingly globalized nature of legal research and the in-depth reference services provided by law libraries across the country, this presentation should be relevant to all AALL attendees. It should be of particular interest to librarians who teach (or hope to teach) foreign and international legal research, librarians interested in the role technology and innovation can play in providing nimble reference services in a demanding and evolving climate, as well as reference librarians who field reference queries that demand resourcefulness and/or familiarity with international legal research. Ms. Kraft is the Associate Library Officer of the International Criminal Court (ICC) Library, The Hague, Netherlands. She fields complex reference queries dealing with foreign, comparative, and international criminal law. In this capacity, her fluency in English, French, German, and Spanish are not only impressive, but also essential to her work. Prior to joining the ICC in 2013, Ms. Kraft served as the Reference Librarian at the Chilean Library of Congress. During this time, she co-authored a paper, which was presented at the 78th IFLA General Conference and Assembly held in Helsinki. The article, Defining Effective Knowledge Management to Empower Citizens and Members of Parliament, can be reviewed online. The purpose of the FCIL Schaffer Grant for Foreign Law Librarians is to provide financial assistance to ensure the presence and participation of a foreign librarian at the AALL Annual Meeting. The 2014 FCIL Schaffer Grant Selection Committee received applications from all over the world, including the Bahamas, Brazil, Ghana, Jamaica, India, Kazakhstan, Nigeria, Poland, South Africa, Spain, the United Kingdom, and Zimbabwe. To learn about the many ways recipients positively impact the U.S., we encourage you to read the lead article in the May 2014 FCIL newsletter by Teresa Miguel-Stearns and Lucie Olejnikova. The Committee is especially grateful to the FCIL-SIS Board, Fundraising Committee, and Ellen Schaffer for their unwavering dedication, encouragement, and support each year! We hope you will attend this year’s presentation, and will encourage your colleagues to do the same.